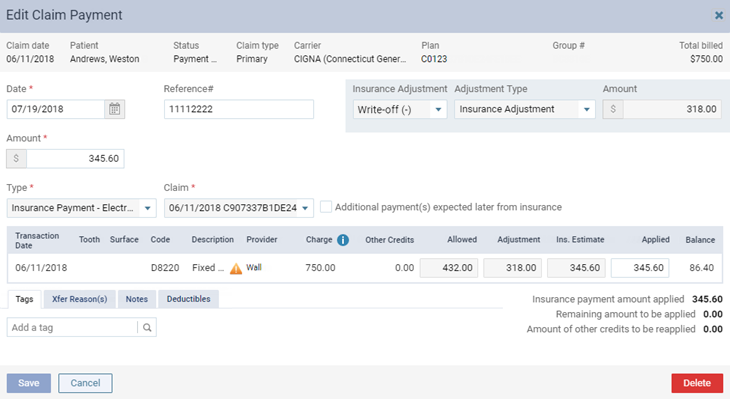 You can delete a claim payment that has been posted from a bulk insurance payment. 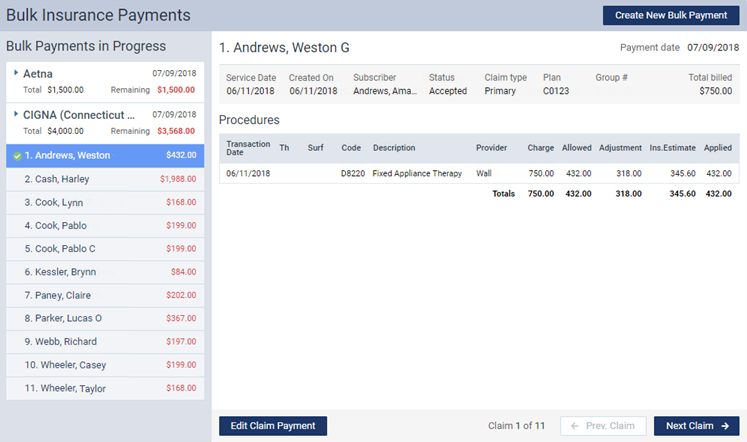 The claim payment will also be removed from the patient's Ledger. You can delete insurance payments according to your security rights for the Ledger. 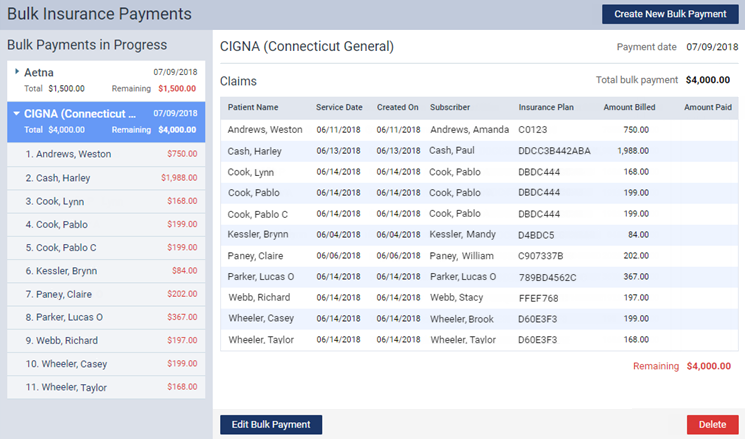 The deletion of a claim payment appears in the audit log. On the left-hand panel, select a claim. 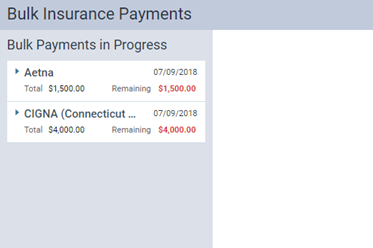 Click (or tap) Edit Claim Payment. The Edit Claim Payment dialog box appears. On the confirmation message that appears, click (or tap) Delete.